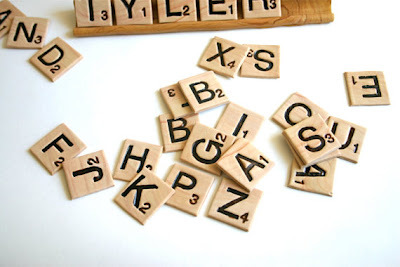 [BB-Blog]: Edible Scrabble Tiles and Racks. Edible Scrabble Tiles and Racks. Made with and naturally colored with pure vanilla and real chocolate, these faux wood grained edibles are a treat for the senses. Game Tiles measure 1" square, and Game Racks are the identical size to the real thing. This Listing is for 12 Edible Game Tiles (you pick the letters) and 2 Edible Game Racks. Each additional Tile, after the 12 listed will be priced at $2.60 a piece. oh my. i love it!! !